I'm hoping to win the Powerball before the auction...then I will be all set to bring her home;o)!! I have notice a type of indentation around the neck almost as if there is a crease or mold mark around the neck, did you notice this when viewing the IW in Maine? Does the breast plate actually go to the shoulders? 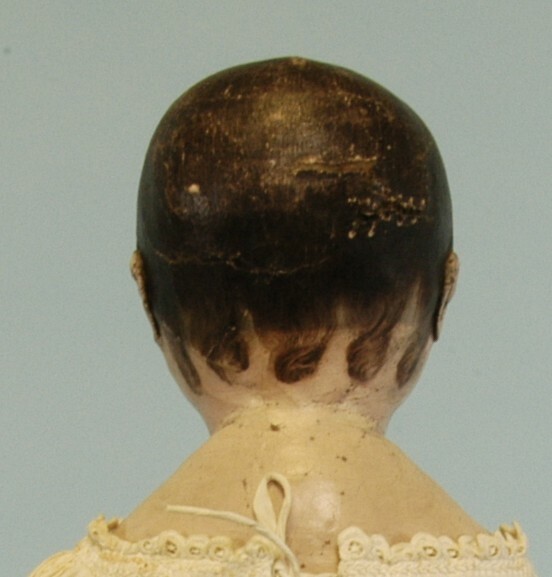 It looks like the doll in this post has an indentation. 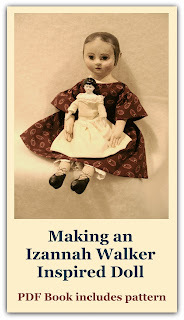 I'm wondering if Izannah did like we do and experimented from doll to doll? 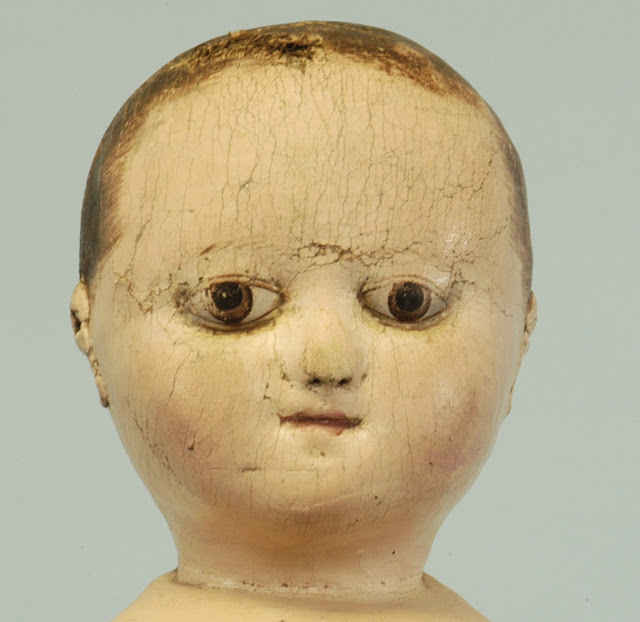 This doll in particular has the feel and look of a wooden doll. 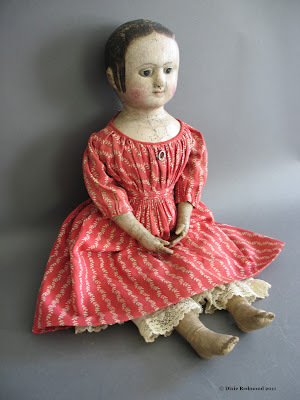 I sometimes wonder if she was trying to make the eyes look like set in glass eyes from the memories of wooden dolls of her youth? 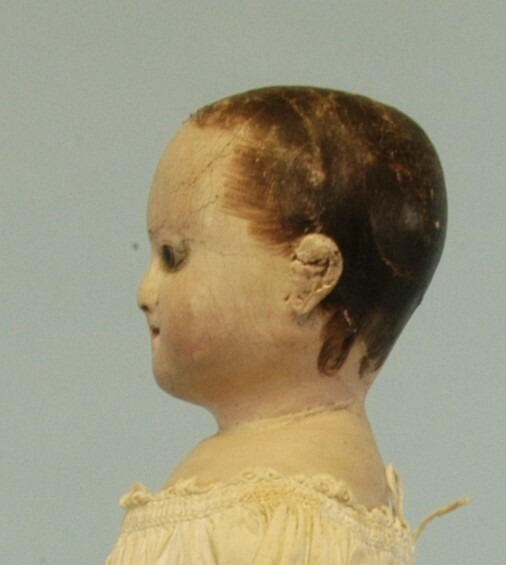 That really makes alot of sense, and this doll looks so different, like she laid it on thick in the mold,because it hasnt cracled so much like the others or maybe its well preserved,I dont know, but for sure each doll is very different. This one is so lovely!!! 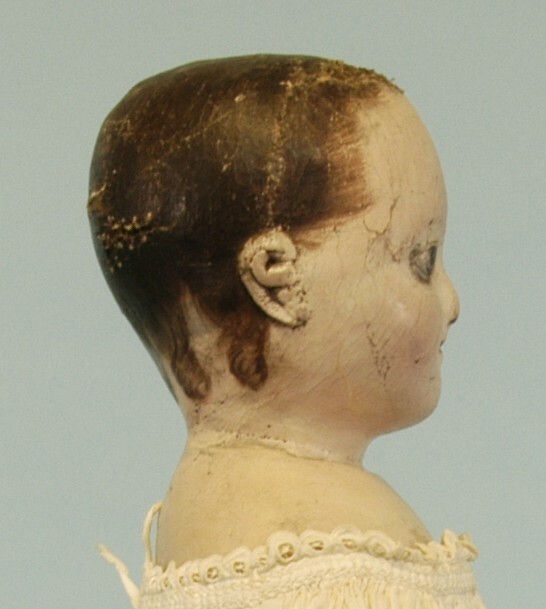 I still would like to know the secret of what doll she used for the mold.